Highland is a congregation that nurtures its members’ faith journeys from their earliest years. We are committed to transforming children’s lives by nurturing personal relationships with Jesus Christ and interacting with God’s Word. Through our loving dedication to Kids@Highland, we strive to lay the critical groundwork so that they may go forward to disciple and impact the world for Christ. Enjoy worship with the comfort of knowing your child is safe and loved! Whether you attend our 9:00 am Sunday School or our 10 am services, Highland offers full nursery care for infants and toddlers under the age of 3. Sunday mornings at 9:00 am, Highland brings Jesus to life for children from the age of 3 through 5th grade. During this Sunday School hour wonderful, loving teachers introduce our kids to the word of God and further their faith journeys. Through these Christian education programs, it is our prayer that we nurture each and every child who enters our doors and help them grow in both their relationship with Jesus and with others. The last few years, the preschool class has joined the older children in using the Workshop Rotation Model curriculum (https://www.rotation.org/) . This model means that the children learn about one story or theme every month – each week using a different way to teach. We recognize that schedules are busy and children get sick – it is difficult to come every week. By studying one story per month, we ensure that each child gets a chance to learn the concepts a few times using either story, games, ipads, drama, science, cooking, movie, etc. Lounge – Children ages K-5th first meet in the Lounge to have a short gathering and worship time before heading to their classes. The first Sunday of the month, the preschoolers join them for a special “story time” run by our excellent storyteller! Children in these four grade levels are treated to monthly stories that feature storytelling, science, technology, games and more through the WoRM (WOrkshop Rotation Model) – you can read more about this above in the “preschool”. Second and third grades are a very special year for Highland’s kids as they journey through the Bible from beginning to end. These two years open with each child receiving their own Bible as part of a fall worship service. Through the gifts of a very special teacher, they learn the sequence of the Bible, its books and how it applies to their everyday lives. Each week all children from Nursery through 5th grade must be signed in and out of the Nursery or Sunday School classroom by a parent or caregiver. Highland teachers and volunteers have all completed the requirements for Safe Church. Our 2019 winter after school program was a lot of fun! Thank you to all the volunteers who made it happen and to all the parents and kids for participating! To review our Safe Church policies, click here. Every 2nd Sunday of the month, we have a special gathering of our Kids’ Club (K-3rd) and TNT group (4th/5th grade). The Kids’ Club is from 4:30-5:30pm while parents meet in the Lounge to gather together for either a discussion, class, fellowship, workshop or special presentation. All parents and kids join together from 5:30-6 for a pizza dinner and then the 4th/5th graders meet from 5:30-7:15. Parents for this age group may leave the premises. To learn more about the children’s ministry of Kids@Highland, click here to download our Brochure or visit our YouTube channel to see us in action! For an intimate look at the Kids@Highland ministry, click here to view the stories and photos on our Blog. If you’re feeling called to help bring Jesus to Highland’s next generation, please visit the Kiosk any Sunday at the back of the Narthex or contact Laurie Juárez, our Director of Christian Ministry, at 717-569-2651 or lauriejuarez@HighlandPC.org. 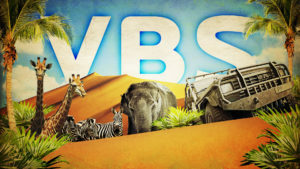 Ok Highland folks – VBS registration is now open! Some of you registered yesterday at church 🙂 Those of you that still need to register, here are the links! If you have a preschooler go ahead and register this week – once I open it up to the public next sunday it will fill up very quickly. Please choose at least one spot on one day to volunteer if you are registering your child. If you aren’t cleared there are many places you can still help 🙂 (non-members can’t volunteered for “cleared” spots). Register at the links below!